There can be no doubt our salvation came at a great price. So great a price, that neither you nor I could afford to purchase it. We do not have what it takes to buy, trade, or barter for the redemption of humanity. Neither has there been anyone throughout history who had what it takes, with the exception of One. 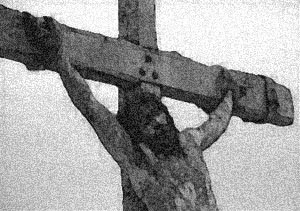 Since the price of redemption was the offering of sinless blood, God Himself in the person of Christ Jesus paid it all. It is true God's children have been redeemed and forgiven of sins by the offering of the Lord's sinless blood, but it is also true that it can be a hard message to understand and accept. Common sense tells us when someone does something wrong there are consequences to be faced. Even as children, when we were disobedient, there was within our souls a fearful looking for judgment and anticipation of punishment. How then are we redeemed from the judgment of our sin by one man's sacrifice? Exactly how does repentance and faith in the shed blood of Jesus make us children of God? How can God really declare the unrighteous... righteous? I don't know. I don't pretend to understand everything God says or does, but I do believe everything He says or does. For some people it is crucial to understand the exact mechanics of salvation, they need to know and understand how exactly the shedding of innocent blood and believing on it's redemptive ability can prevent a person from being judged for sin. For some this process seems illogical and without any reason, but believing must come first. I write these devotionals, not because I always understand what God is saying, but because I believe what God is saying. His ways are hard to understand because He is God and we are not. The Bible says, believe on the Lord Jesus Christ and you shall be saved... I believe. The Bible says, trust in the Lord with all your heart and not your own understanding and He shall direct your path... I trust. The Bible says the end of all things is at hand so watch for Him to return... I watch. The Bible says to go into all the world and preach the Gospel... I preach. Will you believe, trust, watch, and preach with me?